Dental crowns are often essential following root canal therapy or for covering extensive breaks and fractures. While they’re built to last, they’re still prone to many of the same issues as your natural teeth, which is why dentists urge you to properly care for them. Doing so will ensure you get the most from your investment and avoid serious oral health issues that may arise from poor care. The surface of your dental crown still hosts decay-causing bacteria and can trap food between the adjacent teeth, which is why you’ll still need to brush and floss around it. Do this at least twice a day with dentist-approved products. You’ll help prevent decay and gum infections, in turn, protecting your other teeth. With proper care, a dental crown can last up to 15 years. The last thing you want is to break or dislodge your dental crown. Harmful bacteria will be able to attack the tooth below, leading to an infection that can spread into your gums and later cause periodontitis. Hard foods, such as raw vegetables, are often the cause, though sticky foods like gum and gummy candies can also have problematic results. Stick with softer foods that are easier to chew, and never use your teeth as a tool to open packages or tear non-edible materials. When the dental crown is applied by a dentist, a small sliver between it and the gums is still exposed. Plaque can build up in this area, and when unchecked, may move below the gum line. There, decay-causing bacteria will attack the tooth root, which can then lead to gum disease. 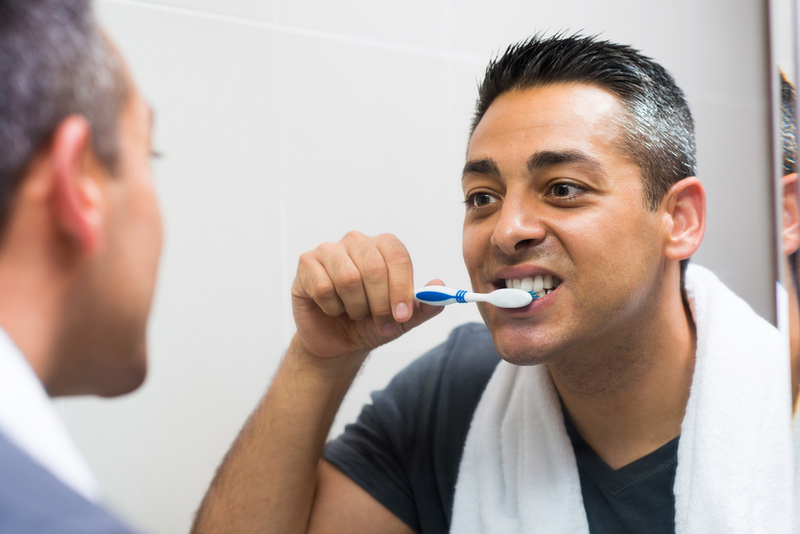 Tooth loss is a possibility, so always brush carefully along your gum line. Pure Dental Care is proud to offer a number of dental solutions to its patients. Located in scenic Central Park South in Manhattan, they provide comprehensive dental care services ranging from gum disease treatment to general teeth cleanings. A dentist will take a personalized approach to care, and you can count on lasting results from their treatments. Call (212) 256-1292 to schedule an exam and visit their website to learn more about the practice. For more dental care tips, connect on Facebook.